Put down the mug of tea, untangle yourself from the blanket and step away from Netflix! It’s time to start embracing the cold days and long winter nights outside of your house or hotel room. 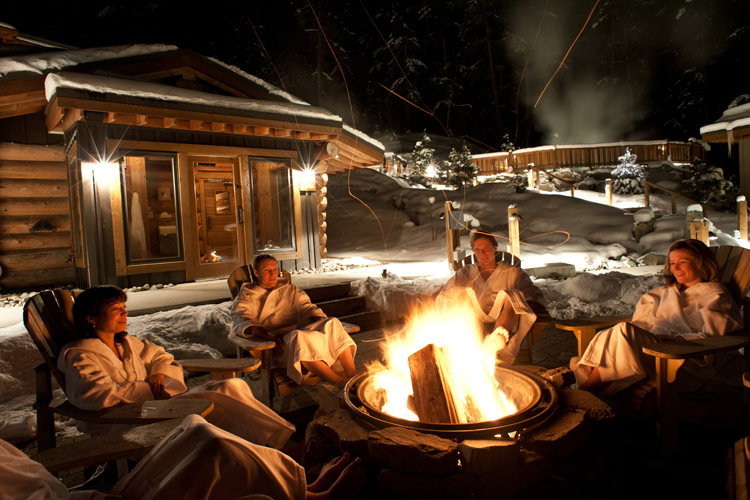 It may be easy to slip into homebody hibernation mode this time of year but a Whistler winter is too precious to waste! Recent cold weather in Whistler has us looking for ways to warm up, and we’ve been inspired by our Danish friends concept of hygge – a word that highlights the importance of connecting with others in the moment. That sounds a lot like the spirit of Whistler so putting the two together can only mean good, cozy fun. LEFT: Cozied up at Firerock Lounge. RIGHT: Whistler Village bustling with winter cheer. Meet or make friends fireside. There’s nothing like a good fireplace to induce the warm and fuzzies, throw good company and a seasonal drink in the mix and we have ourselves a moment to celebrate. Bask in the hygge glow at almost any pub or lounge in Whistler. Cheers. Now, about that seasonal drink we mentioned. Whistler has a talented bunch of bartenders who craft cocktails and creations capable of bringing on a full hygge coma. Mulled wine? Yes! Cocktails that evoke the stoke of a pow day on your taste buds? You bet. The creamiest, richest hot chocolate you’ve ever sipped? Yep, those too. Treat yourself to one (or two) at these fine establishments. The Powder Day cocktail at Bar Oso is a must try! Indulge in comfort food. If there was an edible version of hygge, it would be poutine. Or waffles at the Crystal Hut, or earl grey lavender scones, wait- maybe fondue… We can’t decide, guess you’ll have to try them all! Gather. Whistler knows how to do holiday season very well, meaning there is no shortage of places to gather and celebrate the little things together. Catch a ski flick, cozy up at The Cabin, get silly at family après, roast marshmallows in the Callaghan after snowshoeing or be astounded at the Fire & Ice show. Explore the night. Instead of ziplining or snowmobiling during the day, embark on an adventure after the sun goes down. A starlit journey through the snowy landscape is the perfect way to celebrate a long winter night. Stop to marvel at the moon and connect the constellations. Explore after dark on a zipline adventure! Have a picnic. Just because summer is over doesn’t mean you can’t eat food outside. Dress warmly and pack or pick up a lunch for an afternoon of Nordic skiing or snowshoeing. Stopping to enjoy your food gives you time to take in your surroundings. Carry hot apple cider in a thermos for a hygge pro touch. You can pick up a pack lunch from almost any café, take-out or grocery store in town. Stretch. Join a candlelit Yin yoga class at Loka Yoga in Creekside and savor the present as your muscles release and mind unwinds. The hit of endorphins and clarity from meditation will have you appreciating everything in this winter wonderland from the graceful fall of a single snowflake to a friendly smile from a passerby. Other yoga studios in Whistler offer deep release and restorative classes that can help you achieve a state of bliss and balance. Soak. Sometimes you need the silence to revel in the moment- the kind of silence that comes after a snowfall, blanketing the senses into pure appreciation. You can find that kind of silence at the Scandinave Spa as you soak up the benefits of hydrotherapy while immersed in the hot and cold baths surrounded by mountain views. Or let a professional go at your muscles with a Shiatsu, Javanese, Swedish or Kundalini massage at another of Whistler’s spas. Soak in the moment at the enchanting Scandinave Spa. Curl up. Did you know Whistler is home to a coffee shop and bakery that sits right next to a bookstore? You can have your cake and read too. From Village Square enter Armchair Bookstore, hunt for that must-have book and then continue down the hallway to Gone Village Eatery. Pair your literary choice with an appropriate cozy drink (or homemade soup) and curl up in one of the comfy pillowed corners. 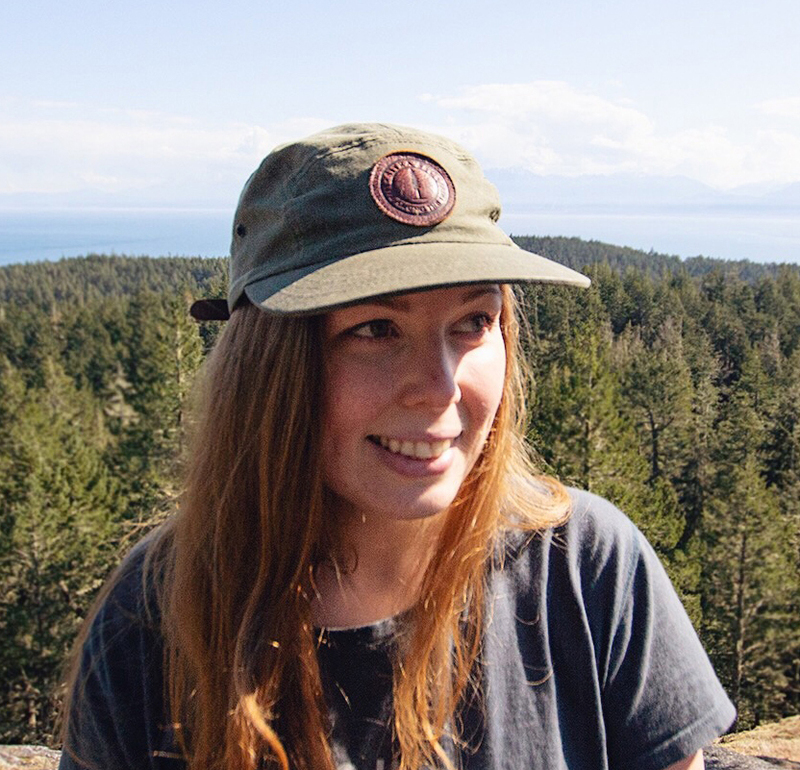 There is also the impressive Whistler Public Library where you can get lost in a book or listen to a local explorer tell a tale at an Armchair Session. Walk around. One of the great things about hygge is it can help you discover the wonderful in simple, everyday actions. Strolling through the village with the Christmas lights aglow or trusting the Valley Trail to reveal hidden treasures around each bend is simple magic. Walk in a winter wonderland along the Valley Trail. Lace up. Head over to Olympic Plaza for all-ages fun at the free outdoor skating rink. 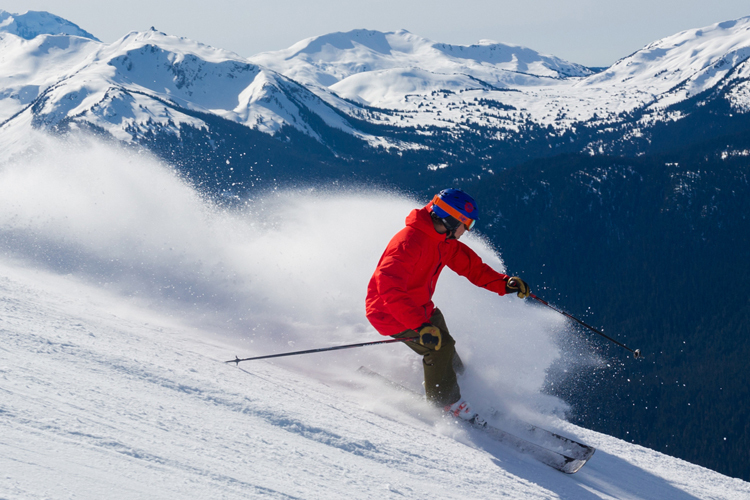 Glide under the ever-present gaze of Blackcomb and Whistler Mountains. Or if you have your own equipment, join a local pick-up hockey game on one of the (frozen) lakes for true Canadian camaraderie. Listen. Get a good foot stomp going and sing along with the crowd at one of the many live music venues in town, or come in from the cold and share a few laughs with fellow humor lovers at Elevated Comedy Nights. Do the hygge loop. This, my friends, is the ultimate ski and snowboard hygge. Only to be undertaken if you can handle total, pure enjoyment. 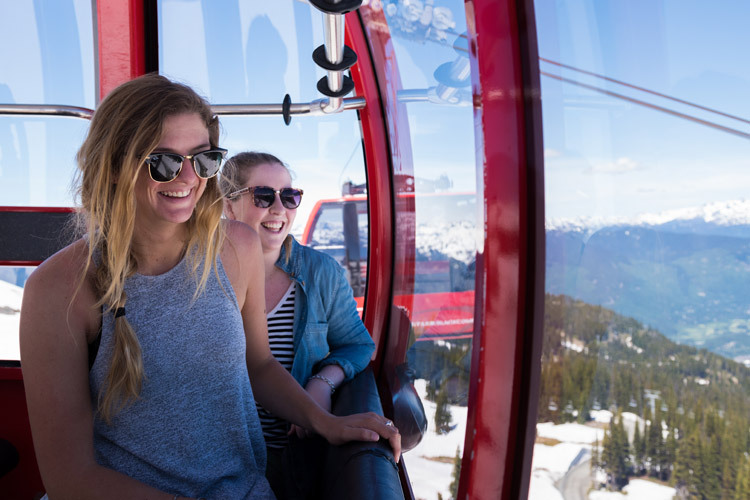 Upload Whistler Gondola, have a nice chat with your gondola buddies then upload Peak Chair, wait for it… That view! Mountains as far as the eye can see! Take it all in. Now, head down Pika’s Traverse, stop as many times as necessary to gape at mountains. Keep going until you reach The Saddle, shred it. I know, it’s amazing, I’m really happy for you. Now make your way back to the roundhouse via Franz Chair. Get on the PEAK 2 PEAK Gondola! You’re floating through space over the treetops between two mountains; it’s an engineering feat- incredible. Wish your new PEAK 2 PEAK friends well. Nod thanks to the lifties. Follow Express Way to the 7th Heaven Chair, upload. Take Cloud Nine. You’re in it now, you get the name, you’re not even sure this is real life. Repeat loop as many times as you can handle. Discover more hygge ideas from locals and visitors alike by searching #littlethingswhistler on social media. Post your own photo and you might even win a prize! Can’t get enough Whistler inspiration? 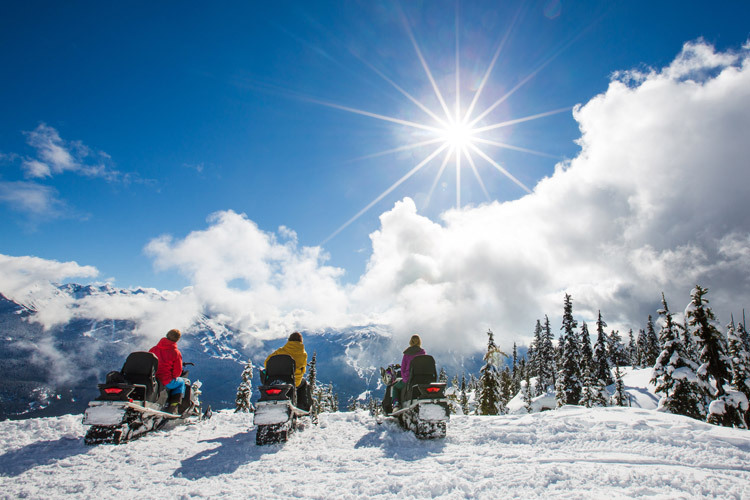 Head over to Whistler.com to browse the curated itineraries and find the coziest accommodation options.